If ever you happen to see the term “bullet hell shooter” scribbled down anywhere, there’s a good chance that the game Ikaruga will be mentioned somewhere nearby. It is a game that was slightly ahead of its time on release way back in 2001 where it received mixed feedback in Japanese arcades. However, the vertical arcade shooter soon began to build steam when it came out for both the Dreamcast and GameCube a year or two later. Since then, it has been deemed by many to be one of the greatest games of its genre and one of Treasure’s finest titles. 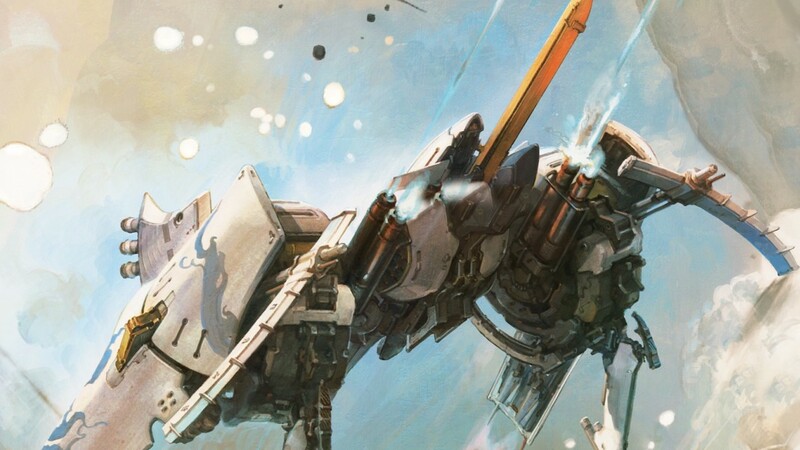 So get ready to test your memory skills as Ikaruga soars its way onto the Nintendo Switch, along with some rather nifty features to accompany it. Ikaruga is not an easy game. In fact, it is so incredibly difficult that there aren’t many people alive who can just blaze through it without a free-play handicap to aid them. It’s believed that none of the developers working on the game could beat it, yet there are people out there who have dissected the five chapters into a fine art form, learning every pattern and sequence with the steady hand of a surgeon and the reaction time of a fighter pilot on Adderall. Some of the more highly committed can even work through the multiplayer single-handed, a feature that is also included in this version of the game. For those who aren’t familiar with Ikaruga, it is a top-down bullet hell shooter with fast-twitch puzzle elements. Your ship, named after the game’s title which means “mottled dove,” can transition into a black or white version of itself in a push of a button. The enemies that you will be up against are also either black or white, thus giving you the reason to flip your ship in correspondence to the situation in front of you. Your ship will be destroyed instantly on a single touch from a bullet of the opposite polarity, while soaking up enemy gunfire of the same colour will charge your special cannon and bag you a few extra points along the way. Considering that you will not be able to beat this game under a credit cap unless it becomes an ambition, Ikaruga is an incredibly addictive game to soak time into. The only way that you can get your name plastered on the online leaderboards is to play under the required default settings. That means three lives and no continues. This also means that you will be repeating the same levels until you reach your inevitable demise. In breaking down the level piece by piece you begin to get a little further, you begin to score a little higher and you will also begin to notice patterns and telltale signs that you were not aware of before. This isn’t about beating Ikaruga, it’s about beating your last attempt and measuring how far you can go. You see, the mechanics in place are much smarter than just a wave of enemies to destroy and bullets to dodge. Understanding that nailing three enemy types of the same colour will give you a chain bonus. Learning which ones to pick off first in a mixed crowd will help you max out your score. Even experimenting when and where is the best time to use your special cannon deepens the strategy, making a single level alone a rabbit hole conundrum that’s begging to be solved. Of course, it’s not a game for everyone. Many will just blast through it in a mere 20 minutes with unlimited credits, only to be put off by how ridiculously intense it can get to do it all again without the stabilisers. In doing this you are completely missing the point and removing the risk in favour of a more shallow, soulless experience. What makes this version particularly good is by how customisable everything is. Besides the usual stuff like level select, continue count and button configurations, there are some great little features added to make the Ikaruga experience feel that little bit more refined. For starters, you have the ability to flip the Nintendo Switch screen on its side in a TATE mode orientation for the authentic arcade set up. It is by far the best way to play if you don’t have a swivel bracket for your TV. It also gives you a much better field of view when buddying up with a co-pilot which is a test of friendship and coordination in its own right. If you don’t have a friend to ride or die with but feel particularly ambidextrous, you could always try your hand at the double play feature where you control both ships in a steep test of multitasking and will. There’s a prototype mode too, a gameplay mechanic that was originally intended to be the focus of the main game, and a mode that sees you have no other choice but to absorb the gunfire of the same colour in order to keep your basic ammo afloat. The three difficulties in place will determine which shade of ship will fire off suicide bullets upon defeat (or both if you decide to pursue the game in the hard setting). This can force you to think about which set of enemy ships to pick off first, or you will be trapped in a cocktail of both polarities in enemy gunfire. Regardless of whether you are near an Internet connection or not, your high score will update once you do connect. It’s a feature that’s not only very important for this type of game but one that can tend to be absent on many score-seeking based titles that I’ve played on the hybrid console. Despite there not being any online co-op, you can download replays from the high score table which is a handy addition that will either depress you by showing how rubbish you are or teach you to become a high score killer. What’s still striking even after 17 years is how well it is all presented. It’s had a bit of a high-definition makeover to fall in line with the times but the polygons of the early 2000’s are still set in place. The backgrounds zoom around at an impressive speed matched with a silky smooth framerate that truly emphasises the coin-op experience. Watching the dance of bullet patterns and ship formations is hypnotic and so well constructed. It’s like being a fly in a venomous flower garden that’s flourishing flirting to attract prey. The soundtrack to accompany it all is nothing less than excellent, sitting proudly amongst one of the finest in its genre and arcade gaming as a whole. Ikaruga is simply a work of art. It has aged significantly well and still feels profound and fresh even by today’s standards. Its high difficulty will undoubtedly put a lot of gamers off, but the deep and addictive replay value will concrete its status as one of the finest offerings of its kind. Add that to the portability of the console along with plenty of helpful tools to improve your game, and you have the perfect arcade shooter that you can possibly own for your Nintendo Switch.